Home / Celebrities Gist / Yung6ix Gives 10,000 USD To The Man Who Gave Him N10,000 To Relocate To Lagos In 2009! Yung6ix Gives 10,000 USD To The Man Who Gave Him N10,000 To Relocate To Lagos In 2009! 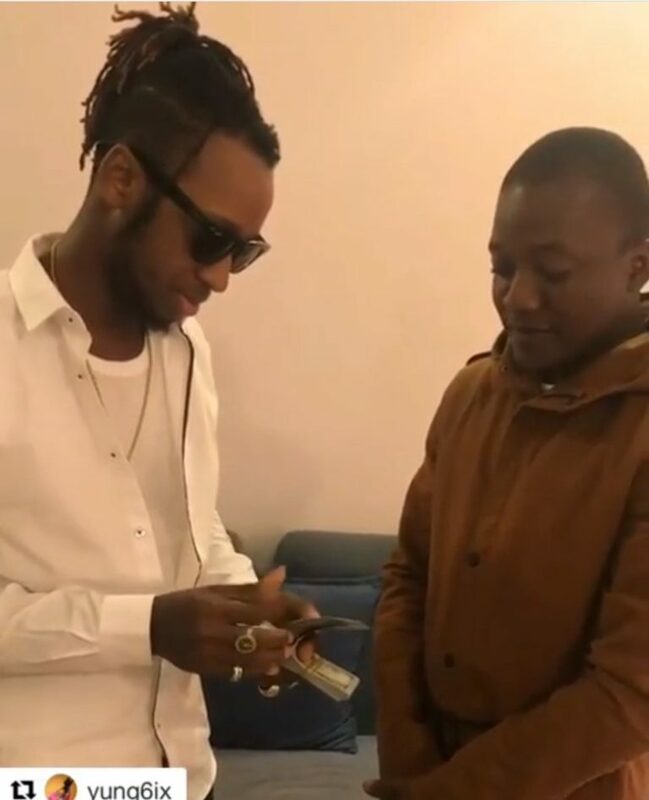 Yung6ix presented 10,000 USD to a friend who helped him 8 years ago when he was coming to lagos. In this life, it is very good to be good. Do good not because you are expecting something in return but because it attracts more grace from God.